Unable to detect an audio signal on Mac? 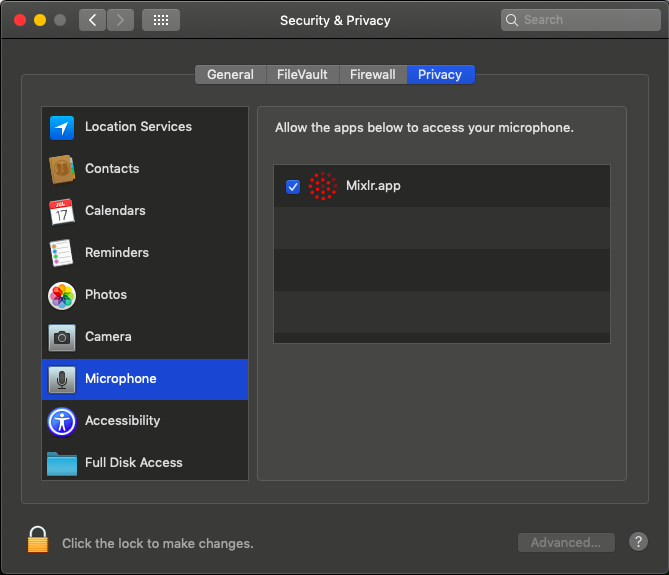 If you are able to select an audio input on macOS 10.14 and above, but there is no audio being received in the Mixlr app, this may be due to an update in how the macOS software allows apps to access your audio devices. This article will show you how to update your settings so you can broadcast from your audio devices successfully. Firstly, open System Preferences from the Dock. 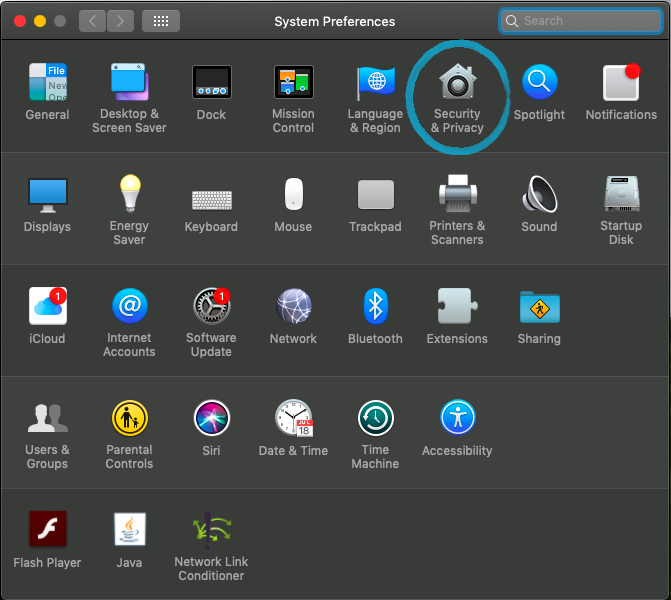 In System Preferences select Security & Privacy. This will open the Security & Privacy window. 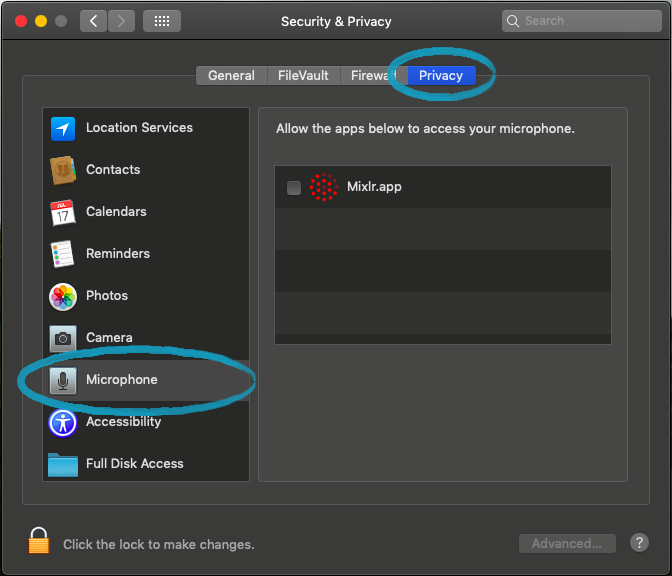 Select the Privacy tab, and then select Microphone from the options on the left. This will show you whether your audio apps have permission to access your microphone. If an app is listed here without a checkmark (as in the screenshot above), then permissions have not been granted. Click the box to the right of the app to provide permission for the app to access your microphone. TIP: providing permission for the Microphone will enable Mixlr to use any other audio device you connect to your machine.